This app has so much content on it it’s difficult to know where to start! 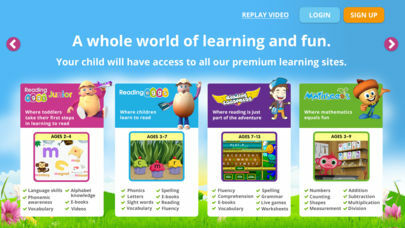 Linked to the website Reading Eggs and the phonics programme the app brings all the content from the website and the computer onto a handheld device. The content can be accessed via joining the website and then this allows the user access to the app via their account. Alternatively it can also be accessed by the app itself. With the website you can set up an account, access the free trial and then purchase it after if you wish, however no payment details are taken up front. With registration through the app you sign up to a monthly subscription through Apple, so you receive the first month free but after that will be charged £6.99 a month until it is cancelled. At the moment teacher accounts are not currently supported but I would imagine this will be something that will happen in time as it will allow teachers the ability to work even closer with their students in helping them to access the learning. Student accounts, set up through the teacher account on the website, however can be used. The app itself has been well designed utilising friendly colours and pictures so users will be engaged in the app and want to keep coming back for more as they progress through the app and learning available. The overall aim is to help young children learn not only how to read and become more proficient in the skills of reading, but also to help them discover a love of reading. This is through a large range of reading books that are available through the app, on top of all the directed learning in the skills of learning to read. The content of the app moves through different ‘maps’. There are twelve maps in total and users move through them, almost like an adventure game, taking part in different lessons. The maps and lessons get progressively more difficult as the user works through them, and as they learn more about the skills of reading. 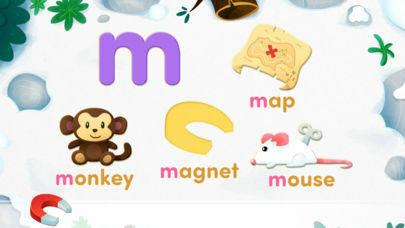 For instance, the first map introduces users to the common sounds of the English language and builds up their knowledge and proficiency in this before building on this knowledge with harder lessons, which may include decoding words. This means that users can access the app at many different levels. Young children that are completely new to reading can access the app and its content and work through all the stages from the beginning, but also children who may have already some proficiency at reading can enter the content at a slightly more advanced level. With there being so much content available, users can realistically access it in many different ways, and more importantly in the ways that are going to help them the most. As mentioned, the app content is linked to that on the website and the app brings all this onto a handheld device. Due to this there is also a mass of information and resources available on the actual website itself. Educators can access previews of all the lessons as well as downloadable resources. This allows them to not only plan what content they wish to use, but also to personalise the specific learning to the individual child, depending on what that child needs. Educators also have access through the website to reports on the students that are using the app. Again, this works towards personalising the learning of the individual students, but also gives the educator a way to show the progress that a child is making as they move through the content of the app. 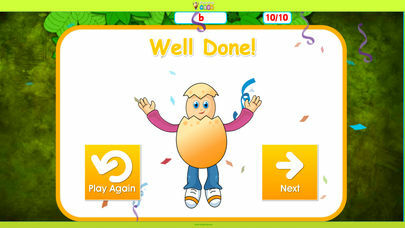 Reading Eggs is the multi-award winning learning programme that helps children learn to read. Based on scientific research and designed by literacy experts, it’s proven to help kids learn to read using interactive reading games, guided reading lessons, fun activities and over 2,000 digital story books. Reading Eggs Junior (ages 2–4): Toddlers build pre-reading skills such as phonemic awareness and alphabet knowledge with fun activities, games, videos and read-aloud books. Reading Eggs (ages 3-7): Children take their first steps in learning to read, covering phonics, sight words, spelling, vocabulary and comprehension. Reading Eggspress (ages 7-13): Continues the learning journey by helping children learn to read for meaning and enjoyment. Mathseeds (ages 3–9): Develops essential early numeracy skills, covering numbers, measurement, shapes, patterns and more. TRUSTED: used in over 12,000 schools and trusted by professional educators. HIGHLY MOTIVATING: the reward system consists of golden eggs, collectable pets and games, motivating children to keep learning. COMPREHENSIVE: Reading Eggs is a complete learn to read system for children aged 2-13 and covers the five essential components of reading: phonics, phonemic awareness, vocabulary, fluency and comprehension. Compatible with iPad 2, iPad 3, iPad 4,iPad mini, iPad Pro, iPad Air, iPhone5+. 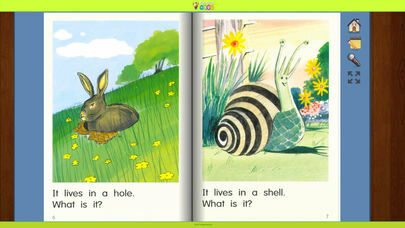 iPad2 is not recommended for Reading Eggs Junior. Family Bonus Discount—Save 50% on any additional children.